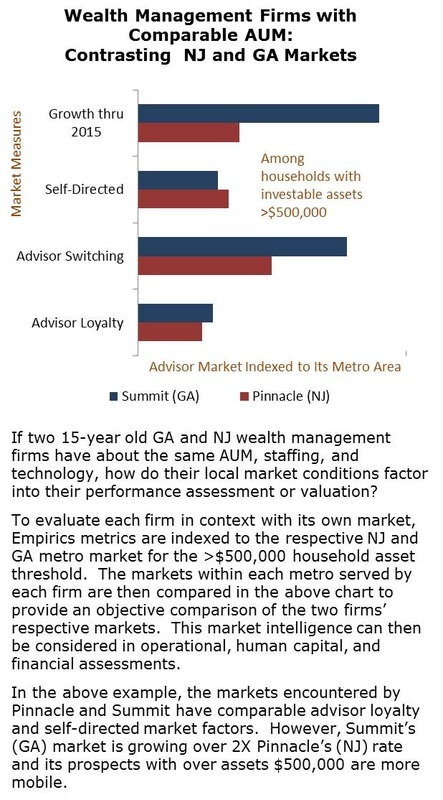 All wealth managers compete within their respective markets for retail investor assets. To date, objectively representing a firm’s position within its market and the value of its market potential in a business valuation has been constrained by a lack of analytical tools. 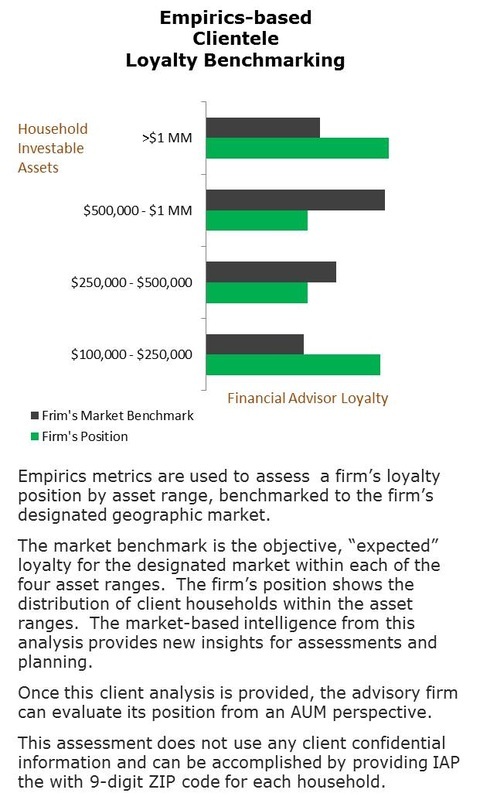 While there’s no shortage of financial and operational data, comparables, ratios, and benchmarks, the AUM source – the firm’s retail investor market – has received a more subjective treatment in business planning and valuation. To assist you with your firm’s valuation, business planning, or acquisition program, IAP needs to understand your marketing and business objectives. To get started, all we'll need is your geographic market designation (e.g., state, counties, ZIP codes) and a spreadsheet with client ZIP codes if you want to conduct benchmarking. Assessments are scalable to your needs and do not involve any client privacy-sensitive information. You’ll receive personal and confidential assistance along with the analysis. Most assessments take 2-3 weeks to deliver. We can also collaborate with any consulting firm or party that you designate. Contact IAP to schedule an initial conversation.